James Clark (July 5, 1812 July 28, 1850) was the third Governor of Iowa Territory from November 18, 1845 until December 3, 1846, being appointed to the office, as a Democrat, by President James Polk. Born in Greensburg, Pennsylvania, Clarke was secretary of Iowa Territory from 1839-1841 and mayor of Burlington, Iowa from 1844-1845. Clarke was the son-in-law of Henry Dodge. Clarke County, Iowa was named after him. He died in Burlington. Iowa's statehood was still a year away when Clarke was appointed the third governor of the Iowa Territory in 1845. Clarke already was well known in political circles since he had been territorial secretary to Iowa's first territorial governor, Robert Lucas. Clarke was a printer by trade when in 1836 he moved to Belmont, the new capital of the Wisconsin Territory. He married Christiana Dodge, the daughter of territorial governor Henry Dodge, and became territorial librarian. When the territorial capital moved from Belmont to Burlington (now Iowa) Clarke and his family followed, and he founded the Wisconsin Territorial Gazette and Burlington Advertiser, a newspaper, on July 10, 1837. When the Iowa Territory was established, President Van Buren appointed Clarke ""Secretary in and for the Territory of Iowa, "" as shown in two of the donated documents, dated November 27, 1839, and February 19, 1840. 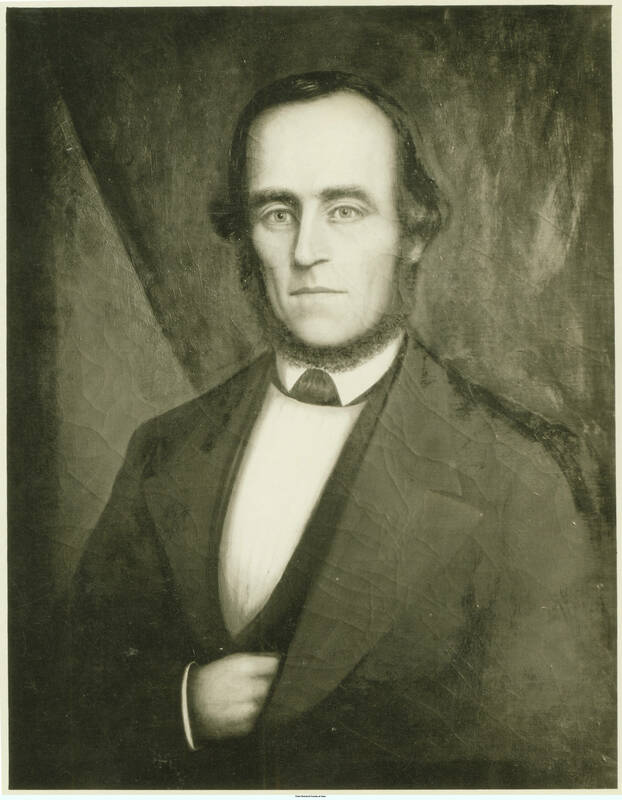 By 1842, the territorial capital had moved from Burlington to Iowa City, where Clarke assisted Governor Lucas with government and political business. Some people opposed Clarke's appointment because of his close personal ties to the Dodge family, but as the mayor of Burlington and editor of the Burlington Gazette, Clarke had gained a reputation as one of the leading advocates for statehood. President Polk appointed Clarke governor of the Iowa Territory on November 8, 1845. Clarke played a pivotal role in the development of Iowa, helping to define the state's boundaries and forming the first constitutional conventions. Only four weeks after Clarke delivered his last official message as governor in December 1846, Iowa became the 29th state to join the union. Clarke resumed his work as a newspaper editor in Burlington. He became the first president of the Burlington School Board and remained active in local political affairs until tragedy struck in July 1850. His wife and infant son succumbed to a cholera epidemic that swept through Burlington and other Mississippi River towns. Just two weeks later, Clarke, just 38, also died of cholera. The Clarks are buried in Aspen Grove Cemetery, Burlington.